Everyone knows something about Enzo Ferrari. The car bearing his name is recognized in every corner of the world. No other firm has represented the concept of winning, technology, performance, and high style as Ferrari. The mystique of the car is second to none. When you research the life of Enzo, you discover quite a character. There’s no question he gave birth to one of the most enduring, legendary brands in history. Here are a few amazing facts for you to enjoy. 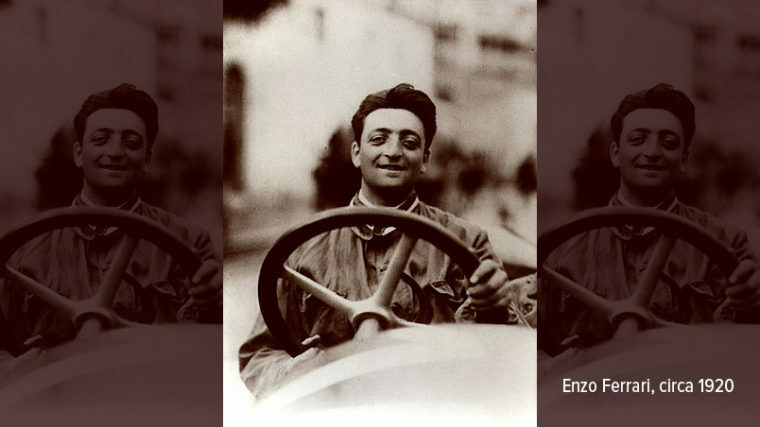 Enzo Ferrari started racing at the age of twenty, a dream that began at the age of 10. After watching a race with his father and brother in 1908 at the Circuit de Bologna, he told his father that he would someday become a racing driver. At the age of 20, Enzo worked for Consturzioni Meccaniche National (CMN), a small car manufacturer with a penchant for racing. They offered him a chance to race their 15 hp open-wheeled racer. He accepted. Enzo’s cars beat Hitler on the race track. In the 1930s, the Nazi-backed Mercedes and Auto Union racing teams dominated sports car racing. In 1935, at the German Grand Prix, Scuderia Ferrari beat them. The famous prancing horse emblem came off an airplane. Decorated Italian World War I ace pilot Francesco Baracca flew a plane decorated with a horse surrounded by yellow. A few years after the pilot died, Enzo met Baracca’s mother who told him to put the horse on his cars for good luck. The prancing horse emblem has appeared on Ferrari cars ever since and is recognized around the world. The Ferarri emblem comes from the same place as the Porsche emblem. Baracca shot down a German pilot over Stuttgart, the hometown of Porsche. He placed the prancing horse on his plane as a gesture to his fallen, yet worthy, adversary. The Baracca horse originated from the Stuttgart coat of arms, and so did the Porsche emblem. Ferrari drivers were given the utmost respect and admiration by Enzo. Gilles Villeneuve died on May 8, 1982, during a qualifying run in a Ferrari Formula One car. Enzo was so grief-stricken that a photo portrait of the legendary Formula One driver earned a permanent place in all of his homes and offices. At Alfa Romeo, Ferrari experimented with wild designs. 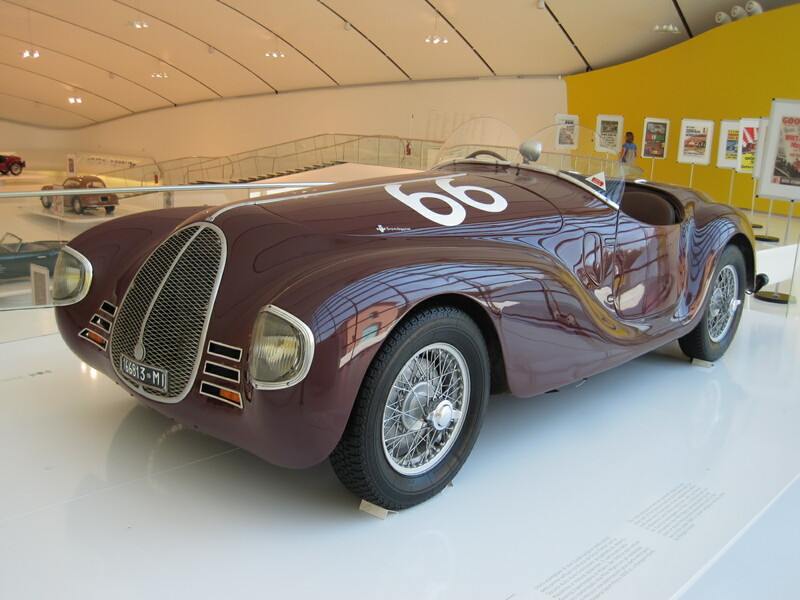 In 1935, he built the Alfa Romeo Biotore (translated, “Two Motors”). Two supercharged engines were installed, one in the front and one in the back. The 540 hp they produced allowed the car to reach 200 mph but having two engines made it almost impossible to turn sharp corners and the car never won a race. The fascist military government unknowingly birthed Ferrari as a manufacturer. In 1938, when Alfa Romeo decided to take back control of their racing effort, Enzo said goodbye. A contract clause stopped him from building or racing cars bearing the Ferrari name, or the yellow horse emblem, for four years. So, he started Auto Avio Costruzioni, an auto part supply company. Like everything else in Italy, it was seized by the Fascists and forced to manufacture parts and vehicles for the war effort. This meant that after the war ended, Enzo had a head start on the infrastructure he needed to build an auto empire. Contract clauses meant nothing to Ferrari. Enzo usually didn’t care what anyone else thought and found a loophole in his contract with Alfa. The loophole allowed him to engineer and build what is considered the first actual Ferrari named the Tipo 815, under the Auto Avio Costruzioni name. Ferrari never wanted to build street cars. After bombing destroyed his factory in Modena, it permanently relocated to Maranello, where it was bombed again. 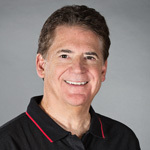 On the second rebuild, his accountants begged him to build the facilities necessary to produce street cars as a revenue generator to fund his racing team. He begrudgingly obliged. What’s the ugliest Ferrari? Accountants were probably why the ugliest Ferrari was built in England. In the 1950s, exporting chassis helped car manufacturers make a profit. Sometimes it went terribly wrong. 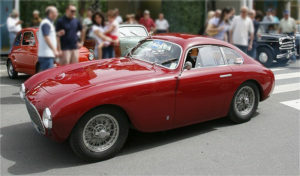 The classic Ferrari 212 Export was “rebodied” by British coachbuilder Abbott. Needless to say, Enzo wasn’t happy. What’s the most beautiful Ferrari? Testarossas built in the 1950s were considered obsolete within a few years of production. Shocking as it may seem, in the 1960’s you could buy one of the 21 Ferrari TR’s for under $5,000. In 2013, when the 1957 TR S/N 0704 showed up at auction, it sold for a record-breaking $39.8 million. Since then a 1963 Ferrari 250 GTO sold at auction for $52 million, becoming the worlds most expensive car sold in an auction. In a private sale, an American businessman set the world record paying $70 million for a 1963 Ferrari 250 GTO known as the Holy Grail model. One of only 36 built between 1962 and 1964, this GTO is a 174-mph road-legal racing car that won the 1963 Tour de France. The following video gives you a ride in the $39 million Ferrari (keep the volume up). In 1961, Ferrari faced a full-on revolt inside his company. Some of Enzo’s highest ranking managers left the company in a dispute over how much of a role his wife, Laura, should have in the company. This included guys that managed sales, ran the race team, engineered the cars, and developed prototypes. As a result, those guys built some of the best Italian cars of the 1960s. Just look at the Bizzarini 5300GT. Giotto Bizzarini designed much of the legendary Ferrari 250GTO and clearly didn’t miss a beat in the days following his resignation. The 5300GT Alloy was born out of a desire to make up for the “imperfections” he had to leave on the250GTO. While he had plenty of enemies, Enzo faced his fiercest rivalry with Henry Ford II. 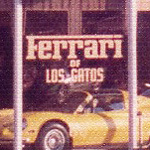 Ford tried to buy Ferrari, but negotiations broke down at the 11th hour over Enzo’s control of the racing team. What followed was the ultimate auto industry grudge match, and it led directly to the creation of the Ford GT40. Lamborghini hated Ferrari. Ferruccio Lamborghini owned a Ferrari 250GT, which he took in to be serviced at the Maranello headquarters, after realizing that the clutch was identical to the one being used on his production line. He politely asked Enzo Ferrari for a replacement part. Enzo replied, “You’re just a silly tractor manufacturer, how could you possibly know anything about sports cars?” Like any red-blooded Italian, Lamborghini spits on the floor, walks out, and designs his own sports car. Four months later he unveiled the Lamborghini 350GTV, and one of the greatest rivalries in automotive history was born. Carroll Shelby hated Ferrari the most. In the 1950’s Shelby drove for Ferrari before severing his relationship with the brand. After the deaths of several drivers, including his friend Luigi Musso at the ’58 French Grand Prix, Shelby made it his life’s mission to spurn Enzo, blaming him personally for the deaths of his buddies. 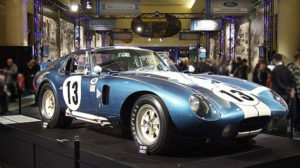 This beef led directly to the production of the Cobra Daytona. Like any red-blooded Italian, Lamborghini spit on the floor, walked out, and started designing his own sports car. Ironically, the last car Enzo ever built before his death, the F40, was the most aerodynamic car of its era. A lot of people still consider the 200 mph icon the ultimate Ferrari, even though it didn’t have a V12. The F40 certainly embodied the conflicted, incredible, and tortured genius of Enzo Ferrari. The Vatican had an Enzo. Ferrari made 400 tribute supercars, sold the first 399, then donated one to the Vatican for charity. Somehow, the pope didn’t drive it, thereby throwing John Paul II’s reputation as the most baller pope into serious question. If you have comments or a story about Enzo Ferrari or the car he built, or any other classic car story, please share it with us here. Be sure to attach photos as well.